Triangle eyes and some stupid grin aren’t going to cut it anymore. It’s time to step up your pumpkin carving game this Halloween. The folks from Buzzfeed show you how it’s done, with all the shortcuts you’ll need to life-hack your next pumpkin project without following some 2,000-word manifesto from Martha Stewart on the intricacies of carving. From drill-powered designs, to a DIY pumpkin cooler and how to avoid the dreaded “pumpkin hands,” they’ve covered all the bases. Save your extra glow sticks from the next rave you attend and use them to illuminate your pumpkin instead of burning yourself with tea-light candles each year. Or you could go-all Gallagher and smash the thing to bits for a modernist art pumpkin? 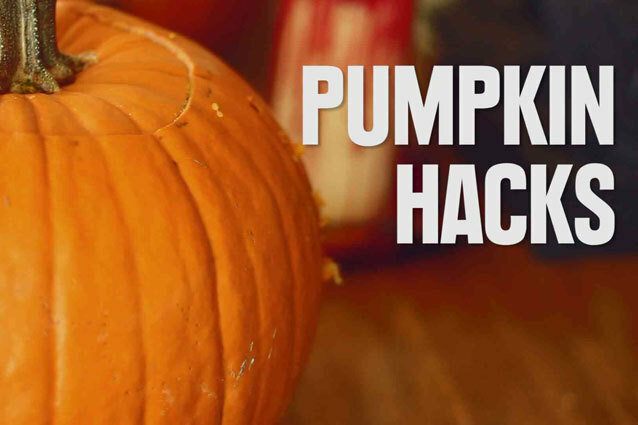 Put all those Pinterest-moms to shame with these innovative pumpkin hacks.